and lately it’s been A CRAZY LOAD OF ADAPTATIONS. some good. some bad. and some truly horrific. so here are the ones i’m looking forward to in 2014.
this movie is out in the UK and the dvd is out soon in the US. HOWEVER I HATED DEATH’S NARRATION and some scenes just felt really forced and awkward (maybe it was the directing not acting). however the score is beautiful and every scene with rudy and liesel was perfect (apart from the whole is he your bf thing coz wtf rudy wouldn’t say that and the bit when rudy said i love you coz THAT WOULDN’T BE HIS LAST WORDS SMH). Nico Liersch who plays Rudy is literally THE PERFECT RUDY EVER. i enjoyed the movie i mean i cried and i laughed and stuff but it’s not AMAZING EVERYONE MUST SEE IT RIGHT NOW. the book on the other hand EVERYONE NEEDS TO READ IT ANS BASK IN ITS GLORIOUSNESS AND JUST BE AMAZED BY THE BEAUTY OF THE WORDS. i just really love The Book Thief. it’s also a cool/freaky concept about factions etc. it’s out in the US on March 21st and out in the UK on April 4th. out in the UK on June 20th and out in the US on June 6th. starring Shaileene Woodley (again) Ansel Elgort and Natt Wolf. please read the book. The Giver but this book is SO GOOD…it’s really short and just mindblowing. if only they filmed half of it in black and white and then when jonas can see in colour then in colour…but oh well IT LOOKS SO GOOD THOUGH!!! 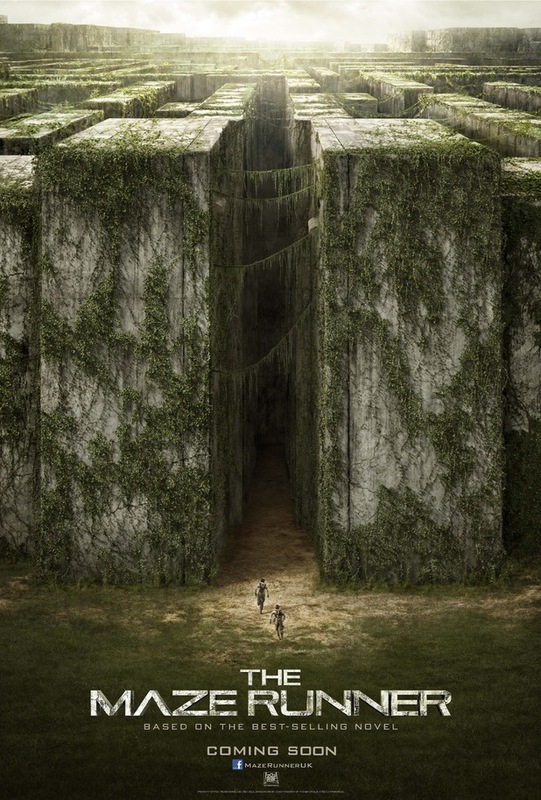 starring DYLAN O’BRIEN, Will Poulter, Thomas Brodie-Sangster, Kaya Scodelario and many more. out in the US on September 19th and in the UK 24th October. i am so excited coz it’s a really good book and just an insane concept and omg i just can’t wait to see how they film it. it’s different to how i imaged but i’m excited to see the movie!!! so RIP to Philip Seymour Hoffman (Plutarch Heavensbee) and CLIFFHANGER OF CATCHING FIRE so you better read the books so you know what happens. but omg peeta and johanna are taken by the Capitol and things go down…a proper rebellion…it gets crazy and PEOPLE DIE WJHSFKJSDGKHFDGHDFBKG and yeah it’s heartbreaking and i will probably cry. catching fire blew me away by how accurate it is to the book so hopefully Mockingjay part 1 won’t be disappointing. this is probably my shortest ever blog post lol but yeah just wanted to let you know about those books YOU SHOULD READ BEFORE YOU SEE THEM IN THE CINEMA. and many more in the next few years!!! READ IT BEFORE YOU SEE IT. enjoy the movies, remember they ARE DIFFERENT FROM THE BOOK but can still be good. omg don’t spoil it…um THERE’S A BOOK!!! How good is “If I Stay?” I started reading it months ago, but I stopped.